APPeBIKE offers you to rent an electric bicycle in Corsica for a day or a week in one of our points of withdrawals spread on the island. AppeBike offers you to rent an electric bike in Corsica for a day or a week. In Ajaccio, Porticcio, Propriano, Piana, Porto and elsewhere in Corsica, choose the e-bike for an unforgettable holiday on the island of beauty… For even more simplicity, our team will deliver your electric bikes at home with chargers ! Our electric bikes are manufactured by the world leaders Peugeot and Bosch. Our partners allow us to offer top-of-the-range e-bikes combining comfort and performance, which makes it the fastest and greenest way to travel on short journeys but also on long distances. These high-end bikes allow you to get the upper hand on Corsican roads without getting tired. Equipped with 74 mile battery life, these e-bikes allow you to move in urban environment but also on the small roads as well on the coast as in the mountains. 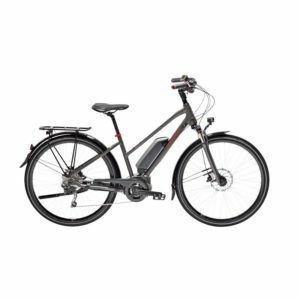 Where to rent an electric bike in Corsica? APPeBIKE allows you to rent your electric bike in Bastia, Ajaccio, Bonifacio, Calvi, Propriano, Porto-Vecchio or Ghisonaccia. Thanks to a network linking the whole island territory, you can rent your e-bike anywhere in Corsica. Our self-service electric bicycles are installed in 20 hotels, campsites, residences and holiday villages in Corsica. AppeBike delivers your electric bike to your home or hotel on request !